Why are we obsessed with the public shaming of Brian Williams? What does it say about us? And what if anything can lawyers learn from the experience? The first two questions are relatively easy to answer. Our society has become celebrity-crazed and media-driven. We love personal scandals – as long we’re not the one being scandalized – for the same reason we love televised police chases and brawling spouses on Jerry Springer. They’re dramatic, salacious and they’re happening to someone else, not us. The answer to the third question is a bit trickier. But in the end, it’s the one that matters most. We love to build up our celebrities. And then we love to tear them down. Brian Williams was on top of the world. He had a plum job. He made a lot of money and had a lot of important friends. But he lied to make a story sound more dramatic and to make himself look better. And he got caught. So down he falls. That makes him merely the latest in a long line of victims ranging from A-Rod and Lance Armstrong to Dan Rather and Justin Bieber. It’s a collective social pathology, and we all suffer from it. The tragedy is that a long career of good deeds can be undone in a single instance of bad judgment. We see it all the time in our profession. Lawyers who have served ably and with distinction for years suddenly appear in the Disciplinary Actions section of the Bar Journal. Eagerly we read the details and pronounce ourselves shocked. Stunned. What happened? What were they thinking? At our next bar meeting we lower our voices and ask, “Did you hear about so-and-so?” And for so-and-so, as with Brian Williams, nothing will ever be quite the same. Remember our roles. Brian Williams was a news anchor – or, if you prefer, news reader. But it seems that somewhere along the way he got confused. He morphed into a celebrity. He starred on 30 Rock and the Late Night show. He hung around celebrities. He tossed his name in the ring to replace Jay Leno. Perhaps this quest for celebrity – instead of sticking to his role as newsman with integrity and diligence – helped fuel his demise. Don’t become the story. As lawyers it is tempting to think we are not just part of the story, we are the star. We’re not. The client is. The case is. Practice empathy. 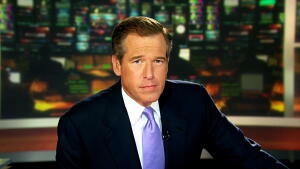 We have all been where Brian Williams, although likely in less public and consequential ways.